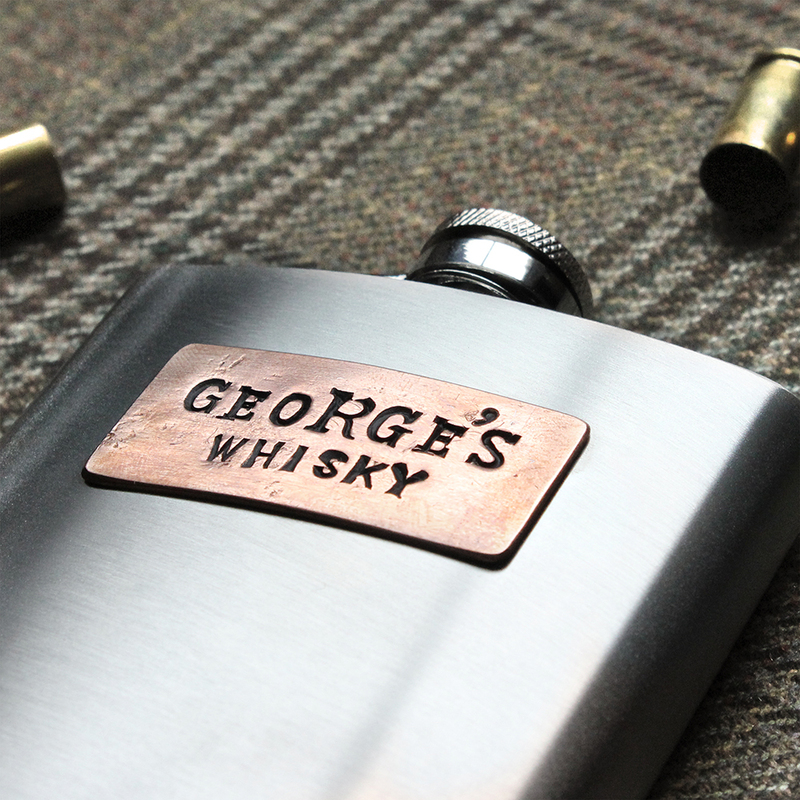 This stainless steel and copper 6oz hip flask has a personalised hand stamped plaque made from upcycled copper. A superb 7th (copper), 11th (steel) anniversary or Father's day gift. It's curved shape ensures that it will fit your pocket perfectly, wherever you decide to take it. A personalised gift that he will truly love, you can add your message (up to 15 characters) in the personalisation tab. Steel & Copper Hip Flask dimensions: 10.5cm x 9cm x 2cm. UK delivery is £2.90. 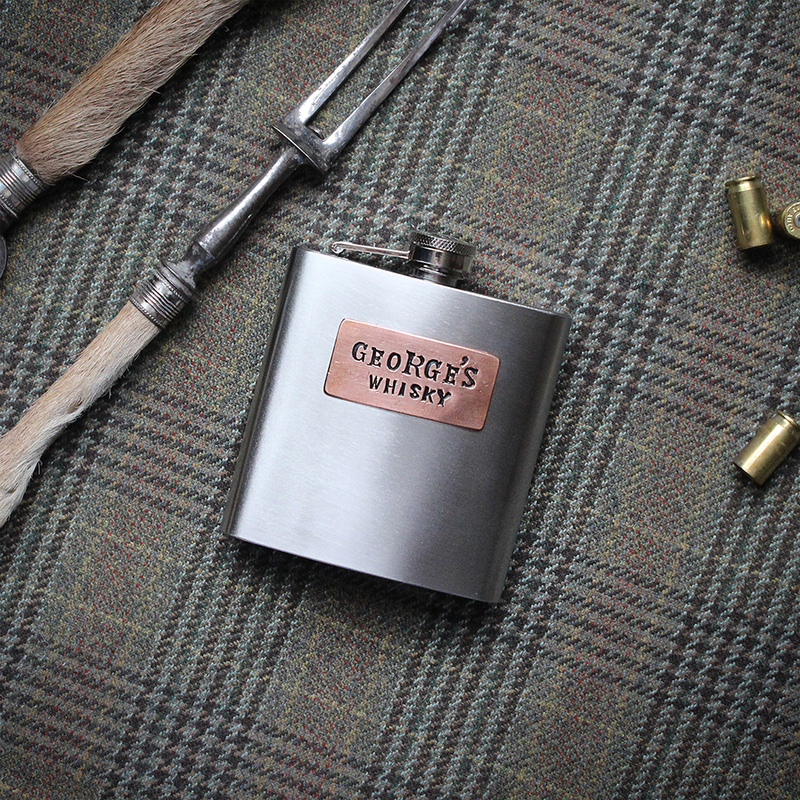 Please allow up to 7 days for your personalised steel & copper flask to arrive. We will notify you once your order has been dispatched.